CATHOLIC GIFT SHOP LTD - Miraculous Medal Glass Cross Bracelet Gift Set. 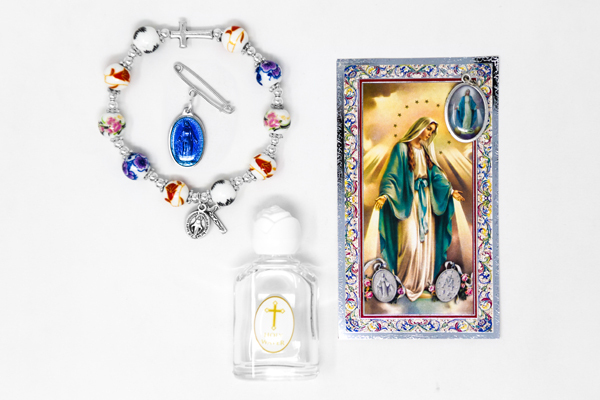 Miraculous Medal Glass Cross Bracelet Gift Set. Miraculous glass bracelet with cross and medal painted with a porcelain finish. Rose top Lourdes water bottle, measures 5 cm tall (2 inches).